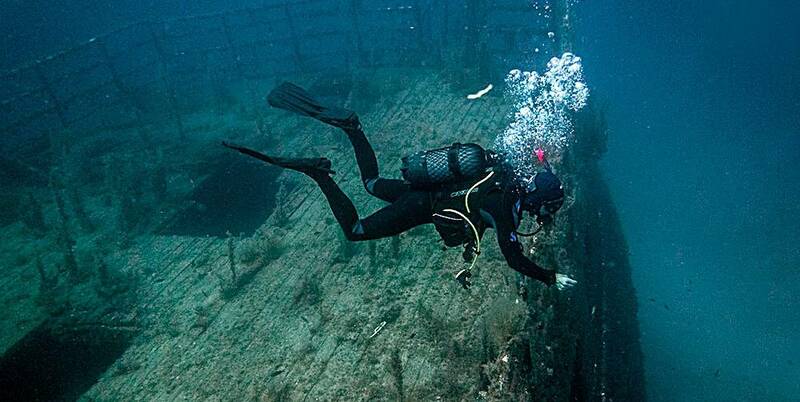 Continue on your voyage of discoveries & adventures with us at Neptunes Diving Malta! So now you are an Open Water Diver, congratulations on completing that course. This course takes 1 day to complete and consists of three open water dives. There are no personal skills involved, just more adventurous diving. Where is the theory you may ask, there are no quizzes or exams on this course, just three knowledge reviews to complete from the PADI Adventures in Diving Manual. 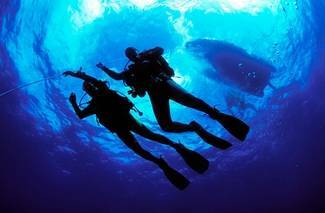 This course allows you to find out what type of diving you might enjoy more. Do you like night diving, deep diving or wreck diving and much more. This is a step up or upgrade from the Adventure Diver, however it can also be completed as a whole course. It takes just two days to complete the five dives, two dives are mandatory in this course, they are the deep dive and the navigation dive. Then you can choose three other dives to complete. Your instructor will help you to decide on which dives. If you have already completed the Adventure Diver with us here at Neptunes, we can credit this towards this course. Already an Adventure Diver? Upgrade to Advanced Open Water Diver for a reduced price. Know how to respond to emergencies – just in case. Statistics show you’re more likely to give first aid to someone you know than a stranger. When minutes count, you’ll be the person to give the necessary aid to a family member, dive buddy or co-workers, before Emergency Medical Services (EMS) arrive. The Emergency First Response (EFR) Primary and Secondary Care course is a CPR and First Aid program that helps divers advance their knowledge, providing the skills they need to potentially save a life. The course builds the confidence and skills needed to provide basic emergency care. You won’t just watch a video, you’ll get hands on practice with a CPR mannequin, simulate bandaging, role play an emergency scenario and other skills. You’ll get to practice each skill until you feel comfortable. While the material taught in this course is serious, it’s taught in a positive, upbeat environment. The course only takes a day and can be used as the pre-requisite for the PADI Rescue Diver Course. This is the same course as the E.F.R. (Bronze), however it has an added couple of extras. The Emergency First Response CPR & AED course teaches the basic principles of CPR and how to deploy and use an Automated External Defibrillation (AED) in an emergency situation. This life saving device can increase a patient’s chance of survival from a cardiac arrest by fifty percent. 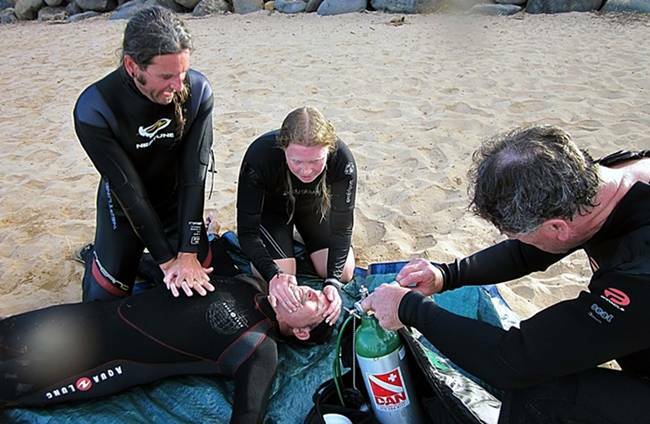 Also included in the Silver pack is the Oxygen first aid module, learn how to deploy oxygen to a diver who is in need. This is the same course as the E.F.R. (Silver), however it has an added extra. Participants learn about the types of medical emergencies that children face, and how they differ from adults. The course can take up to two days and can be used as the pre-requisite for the PADI Rescue Diver Course. When the call goes out, will you be able to assist a diver with a problem?